It’s January. We have had months of winter and are starting to feel pasty and washed out and in need of some winter sun. I have just the product to make that happen. I have blogged about this little bottle of magic before, but for those that have missed it, this is one product that I absolutely could not live without. Especially in January. Yesterday, I put some on in the morning, and two people told me how well I looked later that day. Then I caught a glimpse of my reflection in a mirror and thought, hey, I do look ‘well’! I wondered for a second whether all the layers of different lotions and potions that I have been slapping on at night might be doing the trick, but then I remembered that I had applied my Clarins Radiance booster in the morning. They couldn’t have given this little bottle a better name. It does exactly what it says on the tin. 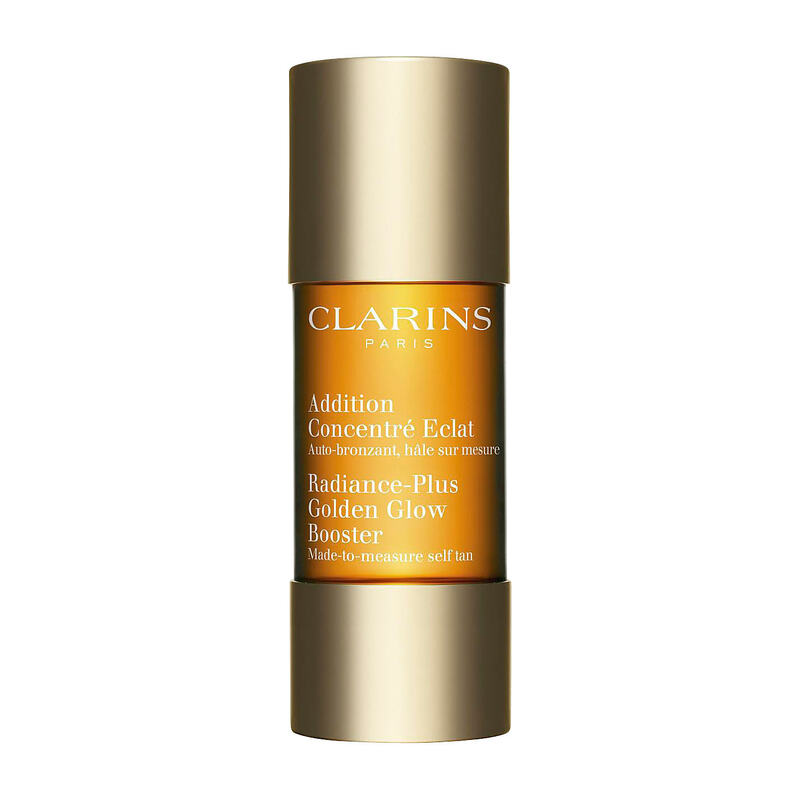 You feel radiant and gives you a (confidence) boost with a golden glow. I apply a few drops to my moisturiser in the palm of my hand and mixed it up and then apply to my entire face. Don’t forget to wash your hands afterwards! It’s subtle, but you wouldn’t want to look ‘tanned’ in January unless you had just come back from the Bahamas. You can apply it two nights or mornings in a row for an even healthier complexion, but in January I find that once is enough for me, every 3 or 4 days. I actually prefer to apply mine in the morning, and it develops gently so you look a million dollars by lunchtime. So, if there is one beauty product you buy this month, let it be this! I promise you I would only recommend a product this strongly if I absolutely believed it worked. It is also worth every penny of it’s £19 price tag. My little bottle has lasted me ages. Thanks for reading. I hope you love it as much as me! I bought this on your recommendation just after Christmas and I absolutely love it. It subtly makes you look and therefore feel so much better. Amazing! The lady at the Clarins counter looked at me incredulously when I told her I had never used it before! Late to the party, it seems. Thanks Chloe. Agree. I’ve been using this for a couple of years following a recommendation. Love how you can use with your own moisturiser and control the amount depending on the result you want . Winner all round ! I’m super duper pale, is there any point for me?! Just found your blog so I’m a little late to the party 😁. Can you tell me which tan you use for your legs (unless your corner of London has its own very, very sunny microclimate). I think we have a similar skin tone, but I do struggle with fake tan and yours looks very natural.